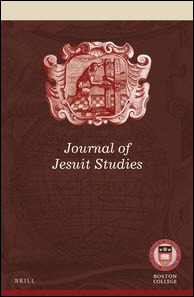 The Journal of Jesuit Studies (JJS) is a peer-reviewed quarterly journal dedicated to the study of Jesuit history from the 16th to the 21st century. Thanks to generous support of the Boston College Institute for Advanced Jesuit Studies, all article publication fees are waived. 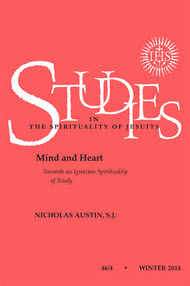 This is a a journal on Jesuit history and spirituality published by the Society of Jesus. 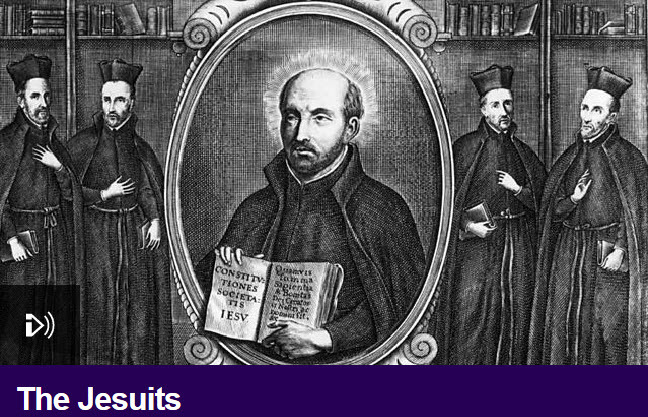 Welcome to this CRRA research guide on the Jesuits. It will link you to electronic collections of materials on the Jesuits available online, as well as to links that will search the Catholic Portal for books and other materials about the Society of Jesus, as well as texts by and works about St. Ignatius Loyola and the other co-founders of the order. We hope that you will find this research guide useful in getting at the wealth of materials presented online by CRRA member libraries and in the Catholic Portal. 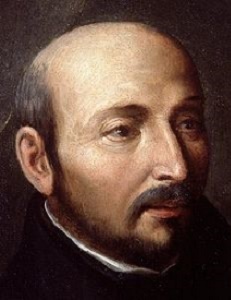 Anonymous portrait of St. Ignatius Loyola from the 16th century. Public domain. Source: Wikimedia Commons. Below are direct links to rare and important digitized collections from CRRA Libraries. From Marquette University. Raynor Memorial Libraries has digitized Galerie Illustrée de la Compagnie de Jésus (Paris: 1893) in order to improve access to this cornerstone collection of Jesuitica. Staff at the John J. Burns Library at Boston College graciously contributed an assortment of digital scans, allowing for the complete presentation of Alfred Hamy's seminal work. The gallery contains 405 engravings of notable Jesuits from the 16th century to the 19th century. An annual gathering celebrating the English poet and Jesuit priest. From Marquette University. The Holy Rosary — Red Cloud Digital Image Collection features selected photographs primarily from the Red Cloud Indian School of the Pine Ridge Reservation in South Dakota. The images include people, places, and events involving Oglala Indian children, youth, and adults; Jesuits; lay teachers; and Sisters of St. Francis of Penance and Christian Charity. From Boston College.The University Libraries' Jesuitica Collection is comprised of books and manuscripts by and about the Jesuits, including anti-Jesuit writings, from the founding of the Society of Jesus in 1540 to the present. The collection focuses on works published prior to the suppression of the Jesuit order in 1773, and is the largest, most comprehensive collection of its kind in the Western Hemisphere. In addition to works on history, theology and philosophy, the collection includes major holdings in the fields of science, mathematics, exploration, archaeology, language, travels, the arts and culture. While the bulk of works in the collection are European-focused, the collection also includes rare and significant holdings on the Americas, Asia, and Africa. From Loyola University of Chicago. Items from the Rare Book Collection written by and about the Society of Jesus. This collection contains pictures and names of Jesuits who have served Creighton from its founding. From Boston College. A free service provided by the Institute for Advanced Jesuit Studies, the Portal offers informed direction to some of the richest materials associated with the Society of Jesus located at a variety of websites. The Portal grants online access to a curated and fully searchable collection of important primary sources and some of the latest secondary scholarship related to the history, spirituality, educational heritage, and pedagogy approach of the Society of Jesus. The Portal also hosts online resources, such as key documents in Jesuit history and a forthcoming lexicon of Jesuit terminology–both of which will receive regular updating. From Marquette University. The St. Francis Mission Digital Image Collection features selected photographs primarily from the Pine Ridge and Rosebud Reservations in South Dakota. The images include community celebrations, religious events, and mission and school activities involving Oglala and Brulé Indians, Jesuits, and Sisters of St. Francis of Penance and Christian Charity. This collection contains the papers and memoirs of William F. Rigge, S.J. Father Rigge figured prominently in Creighton’s first 50 years, first as a scholastic with the small band of Jesuits at Creighton when it opened in 1878 and later as a professor and researcher. The online collection presents a sampling of his memoirs and personal papers relating to the founding and early years of Creighton as well as his scientific papers and other materials from his academic career.